The best parts, like the best people, have the best stories. This is the wild tale of an engine combination that Ford created to compete in NASCAR during the early 1970s. Developed in 1969 and 1970, Ford engineers created a 366ci version of the famed Cleveland engine to use ni the war on the high banks of NASCAR tracks. The engine had a tri-power intake manifold with three two barrel carbs on it. Supposedly Ford built 500 of these engines in anticipation of their approval for use in the series. That approval never came and even worse, NASCAR rejected the whole design rendering the concept and those 500 engines useless and burdensome to Ford. As the story goes guys with hammers and spikes broke up the 500 engines, destroying them so they could not go forth and hurt innocent people, or whatever. That is, they got all but about a dozen of them that were sneaked out the back door by cagey engineers. The intake manifold you see for sale here is one of the 12 that made a break for it, according to the seller. 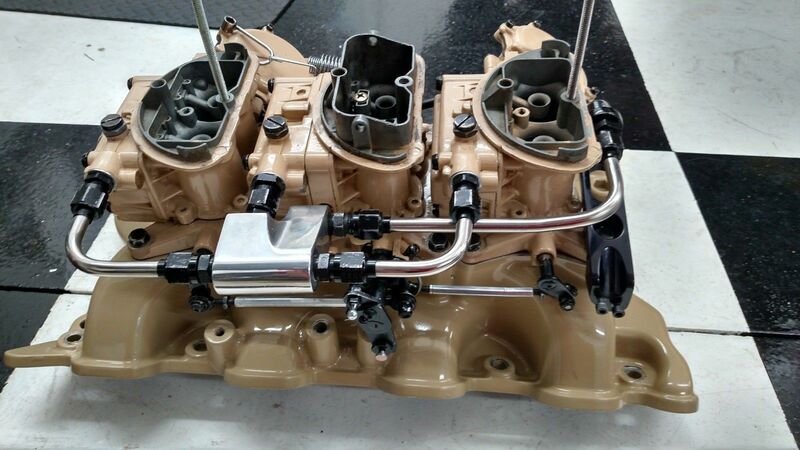 As we have never seen another factory style tri-power intake manifold ever made for a 351 Cleveland style engine, we’re going to go along with his admittedly awesome story. This one has potential roots as a dyno piece because it lacks some of the markings that other known intakes that survived have. There are some things in the casting that are slightly different as well but the truth is, this thing is rare and weird and awesome and…tan. Painting the thing to go in a street rod was kind of lame but what do you do. The blasting cabinet can have that fixed in a jiffy. 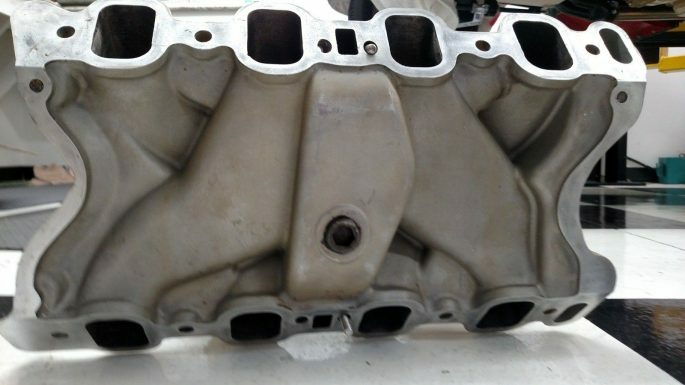 Want the most rare intake ever for a 351 Cleveland? Buy this. SLAPFIGHT! This Cadillac Hearse Trar Beats Lifted Mustang II Any Day Of The Week! 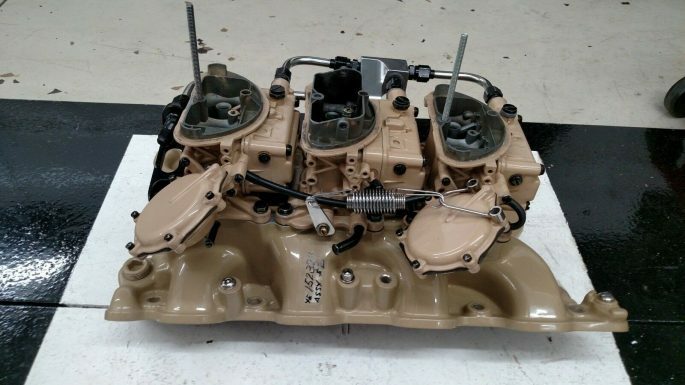 Franken Ferrari: Check Out The Most Incredible Garage Engine Build We Have Ever Seen - Unreal! It’s a lot cheaper than I expected. Does anyone out there see a pattern here? Bunkie defects to Ford and kind of drags Smokey with him. Next thing you know, Ford has a canted valve cylinder head and then a big port, tri-power intake set up…..
Bogus story, but cool parts. Got a buddy that has one and some even rarer 429 3×2 stuff.